Location was great, rooms were exactly as described. Lots of natural light and in a quiet area despite being very central. The beds were super comfortable and the flat was very modern. THE beds were so comfortable, the size of the apartment was good. Provided shampoos and showergels in both bathrooms. Walking distance from restaurants and shops. The location was good for Albert Dock. Spacious apartments. Easily booked an extra night the following day. We were not charged for late check out which I thought was really nice. I've stayed at the Block before (around 4/5 years ago) and I've always recommended it and will continue to do so. Very convenient for the echo arena. Property looked smart was very clean. There was everything necessary for very basic comfort. We paid a premium as we were at a very popular event but normal prices are problem fair for the type of property. 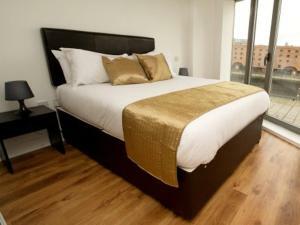 Lock in a great price for The Block Liverpool – rated 8 by recent guests! One of our top picks in Liverpool.Located at Kings Dock, on Liverpool’s vibrant waterfront, The Block Liverpool offers brand new apartments with magnificent city views. Free Wi-Fi is available in all areas. With floor-to-ceiling windows and a minimalist design, the spacious apartments have modern furniture and a flat-screen TV. Kitchenware is provided in the fitted kitchen, which includes an oven, microwave, refrigerator and dishwasher. 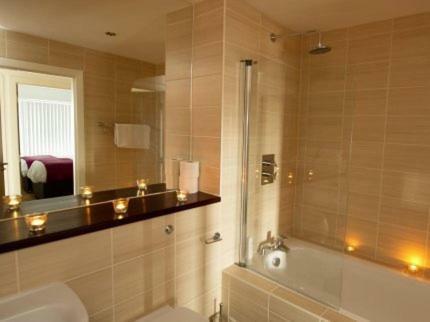 There is also a contemporary dining area and a luxurious bathroom with complimentary toiletries. 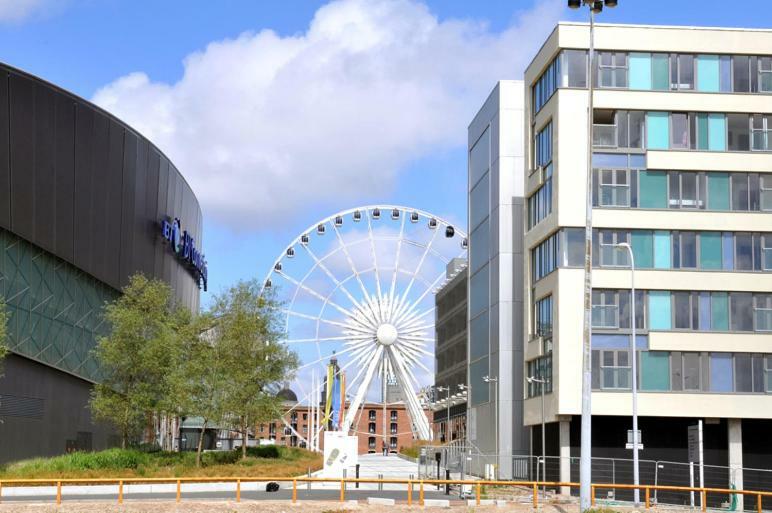 In Liverpool’s Creative Quarter, The Block Liverpool Apartments are opposite the Liverpool Echo Arena. Albert Dock is less than 5 minutes' walk away and Liverpool James Street Station can be reached within 10 minutes by foot. 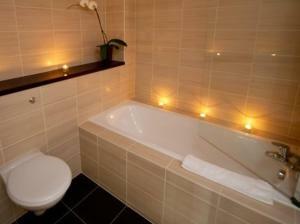 뀐 Located in the real heart of Liverpool, this property has an excellent location score of 8.7! When would you like to stay at The Block Liverpool? 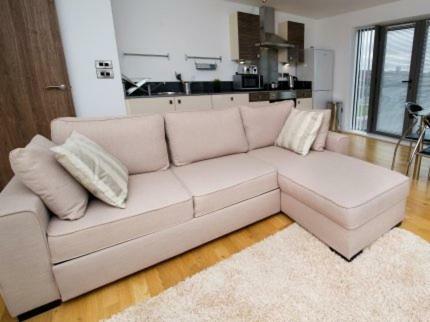 This modern apartment features 2 double bedrooms, a flat-screen TV, Wi-Fi access and a fully equipped kitchen. 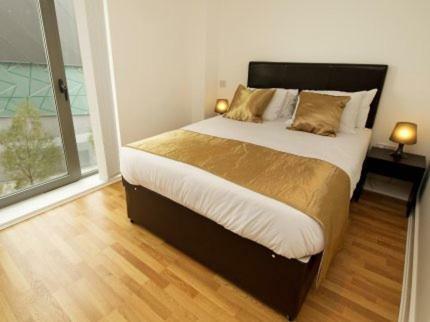 This apartment has 1 double and 1 twin bedroom, with a flat-screen TV, Wi-Fi access and a fully equipped kitchen. This apartment accommodates up to 6 guests. 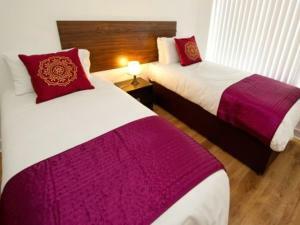 It features a double bedroom, a twin bedroom and a double sofa bed in the living room. Adjacent to the Albert Dock and walking distances to the city centre attractions The Block offers an ideal location for your stay in Liverpool. House Rules The Block Liverpool takes special requests – add in the next step! The Block Liverpool accepts these cards and reserves the right to temporarily hold an amount prior to arrival. Please note - the lead person in each apartment must be over 21 years of age and all guests must present photo ID at time of check in. The card used to make the reservation will also be requested on arrival. A security deposit of GBP 200 per apartment is compulsory for Friday and Saturday arrivals. Arrivals Sunday-Thursday will be subject to a security deposit of GBP 100. Security deposits are taken as a pre-authorization on a credit or debit card. Please note that part of the complex is undergoing refurbishment. It was grubby and thrown together from the rubble of a semi demolished building. Should have been cheaper. 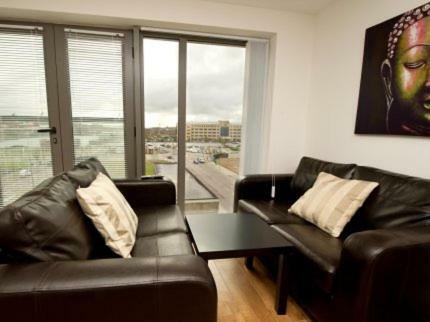 Great apartment, perfectly located on the docks. All facilities were in working order and great. Great value for money. I can recommend for longer stays. Everything well equipped. Nothing... maybe some UHT milk sachets to go with the brew kit? Picking at straws though!! Lovely spacious apartment. Really comfortable and clean. Perfect venue to watch Disney on Ice. Staff really helpful. Location was great, really close to the city centre and also to the museums by the docks. Quality of furnishings were cheap, but new so good....won’t age well. Great value. Excellent WIFI. Great location. Absolutely fantastic location within walking distance of the majority of Liverpool's attractions. Great views too! Spacious apartment with comfortable beds and well equipped kitchen area. Superb value for money! Will definitely go back! Understandably they take a deposit of £100 on arrival. Totally unacceptable that a week later I am still waiting for refund of that amount.